This webinar series is a follow-up to the workshop conducted during the 2016 AGU Fall Meeting exploring career pathways for geosciences students. The webinars explored pathways not covered during the workshop. More information on the series is posted below, along with links to the archived webinar recordings. Coastal resilience is a term quickly working its way into communities around the world. 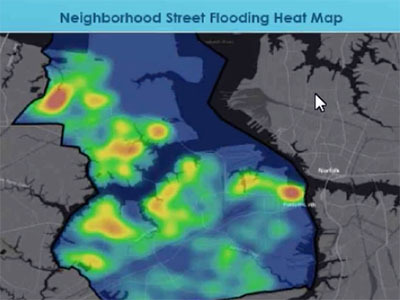 As coastal communities face increased flooding events due to storms and climate change, the ability to face these threats is increasingly important. A coastal community’s ability to prepare for and rebound from flooding events can reduce environmental, health and economic impacts. Researchers from the geoscience community play a key role in working with communities to affect policy change. 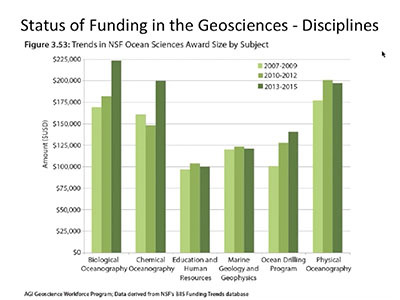 This webinar reviews the range and evolution of skills necessary to prepare students, within the ocean sciences, for academic employment in the 21st century. Learn more about ocean technologies, ICT (big data), diverse engineering (renewable energy, aquaculture), social sciences (e.g. Coastal & Marine Spatial Planning), resource economics and their role in the academic forum. 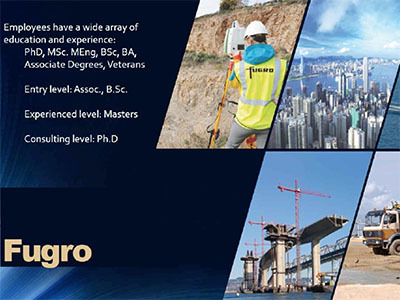 José Martinez Diaz, M.Eng., Ocean Mapping and Geospatial Specialist, Fugro Marine GeoServices, Inc.